Meeting the dental needs of Adults in the 5 western most counties of North Carolina through volunteers sharing their skills. God’s Love at work through volunteers! Making a difference in their lives because Jesus has made a difference in ours. 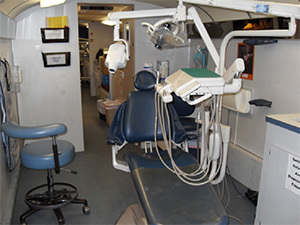 This ministry is 10 years old (5 years at present location) and has provided dental care to over 2,600 adult patients. It was started to respond to the need for adult basic dental care. For our purpose, basic dental care is removing the source of pain and helping to prevent additional health problems. Patients are placed on a Wait List and are treated according to their needs and the services offered during a Clinic. 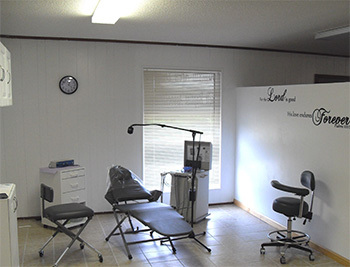 Clinic dates are based on the availability and schedule of the dental professionals. The Mountain Area Dental Ministry relies on NC Licensed volunteer dental professionals. This ministry is a partnership between the North Carolina Baptist Men (providing the mobile unit), Truett Baptist Association, local churches and individuals. This is a short list of dental professionals who have or are sharing their time and skills.